So, you have an awesome 4wheeler, but do you have the best luggage to go with it? The right kind of luggage can make all the difference when you’re about to explore deep in to the woodlands. Since the 1970s, when Honda rolled out the first-ever ATV, adventurers have been bringing their gear along with them on the trails. 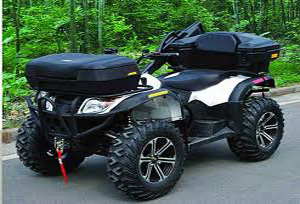 Originally, it was enough to bring a knapsack full of gear with a cooler strapped to the back of your ATV, but these days there are dozens of luggage types and combinations to keep you in the woods longer and more comfortably. To read more about the different types of luggage, Click Here. This entry was posted in Luggage and tagged Adeventure, Adventurer, ATV, bags, luggage, packs, travel. Bookmark the permalink.